In the intro to the 1st Daredevil Visionaries trade, Frank Miller writes: "There was electricity in the air. Jim Shooter, at the top of his form, had (not gently) used his new authority as editor in chief to increase the sense of competition among talent and bring renewed focus to the sprawling pantheon of Marvel super heroes." Shooter's efforts went beyond artist quality. Shooter has actually been EIC since the middle of last year. Processes seem to be improving, with less fill-ins, reprints, and instances of 6+ inkers on a book. Challenged by someone at one of his lectures to stop hawking so much in his Soapbox columns, Stan decides to deliver a mini-essay on why Marvel comics are different than their competitors, and he basically says that Marvel comics try to focus more on psychological problems and that they write for the older reader, while their competitors books are aimed at a younger audience. Marvel wins a lot of the British Eagle awards this year, including X-Men for best team and favorite dramatic series, Howard the Duck Magazine for favorite humor series, and Avengers annual #7 and Marvel-Two-In-One Annual #2 for best continued story (while somewhat contradictorily, Avengers annual #7 also won the award for best single issue) Thanos, Pip the Troll, and Silver Surfer won various character awards. In the April bulletin, it's announced that longtime editor Bob Hall has left to work in theater, and he's replaced by Al Milgrom. In the May bulletins, it's announced that cover prices are going from 35 cents to 40 cents. Creator notes: In addition to improved processes, book quality is also on the up, with Michelenie/Layton/Romita Jr's Iron Man and Claremont/Byrne's Uncanny X-Men leading the way. 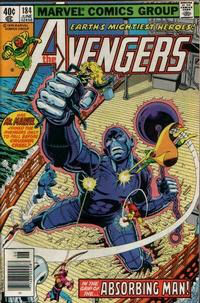 The Avengers is generally written by Michelinie but Steven Grant, Mark Gruenwald, and Roger Stern often get credits as well. It seems less like additional writers are being thrown at a late book and more like this is sort of Marvel's flagship title and there's some creative collaborating going on. It's a good series as well. 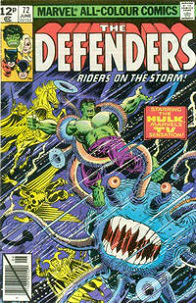 Roger Stern's also got a nice run on Hulk, including a cross-over with Captain America. Steve Ditko returns to Marvel. 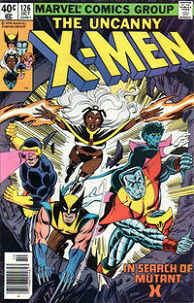 No books are mentioned in the April bulletin, but he works on a Micronauts annual and the Machine Man series, now that Jack Kirby has moved on to work in animation. Mary Jo Duffy - first female writer since the Cat/Sheena/Night Nurse effort - becomes the regular writer for Power Man & Iron Fist. Bill Sienkiewicz starts drawing Moon Knight and Frank Miller starts drawing Daredevil. Notable events: Iron Man has its famed Demon In A Bottle storyline, introducing Tony Stark's alcoholism. The Eternals are brought into the mainstream Marvel Universe thanks to a convoluted storyline in Thor by Roy Thomas. Tomb of Dracula, thought by many to be the best Marvel book of the early-mid 70s, ends this year (it's briefly replaced by a short lived black and white magazine version that doesn't match the color book's commercial or critical success). Ms. Marvel is also canceled. Licensed books based on toys for the ROM, Micronauts and the Shogun Warriors start this year. The Micronauts has some success thanks to art by Michael Golden. ROM also sustains a long series. Shogun Warriors... not so much.